Simple, flat base has sharp transition to wall. Straight flaring lower body. Granular fabric is light reddish-brown with occasional light angular inclusions; other tiny bits. All surfaces are light reddish-brown consistent with fabric. Interior surface has light turning marks and light brush marks; exterior is rough. 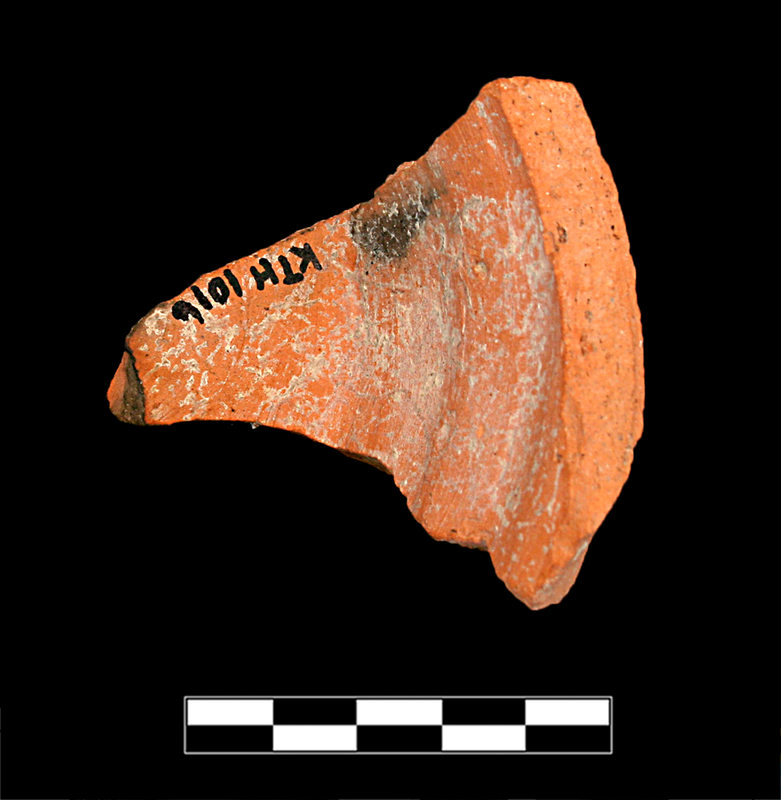 One sherd preserves 1/12 of base and small part of lower body. Slight, sparse abrasion and chipping otherwise clean breaks; sparse, thin film of encrustation.